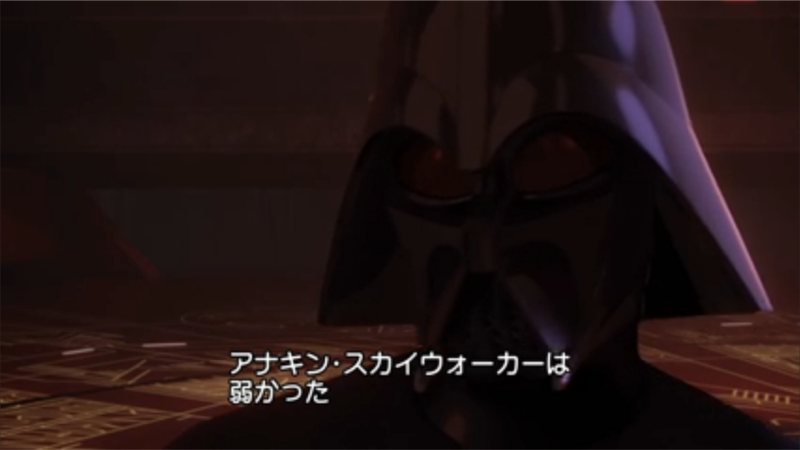 I firmly believe that the quality of the Japanese subtitles and dub in #StarWars have improved across the board ever since the franchise became a part of Disney. This is especially evident in the #CloneWars and #Rebels animated series. Here is one great example from when #AhsokaTano, #Anakin's former padawan learner, confronts Vader in #Rebels. Jedi no michi wa suteta (Translation back to English: "I no longer walk the Jedi path"). I thought this translation was especially profound, considering how easy it would be to pen in the Japanese equivalent of "I'm no #Jedi". I believe the translator hints at the "journey" that has taken #Ahsoka to this confrontation, while perfectly conveying her decision in the past to walk away from the #JediOrder. 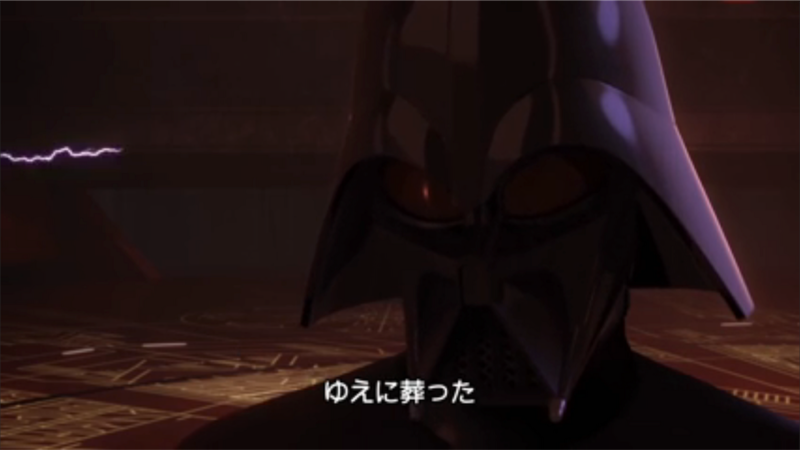 Likewise, the Japanese translation of what Vader says to Asoka right immediately before was incredibly profound. Anakin Skywalker was weak. I destroyed him. Anakin Skywalker wa yowakatta. Yue ni homutta. (Translation back to English: Anakin Skywalker was weak. Therefore I buried him OR So I entombed him). The first part is translated verbatim, but I was really struck by the translator's use of the word "homuru (to bury, entomb)" in the second part. A direct translation of the word "destroyed" would give you "hakai". However, the translator really tuned into what is going on in the story, and knowing that the being that is Anakin Skywalker has not vanished entirely, elected to produce a translation that paints a picture of Anakin shut away inside the prison that is "Darth Vader". Ahsoka believes this, and when she sees that part of Anakin's face through the broken helmet, she becomes convinced of that fact. In that sense, I would say the Japanese translation works better than the English.